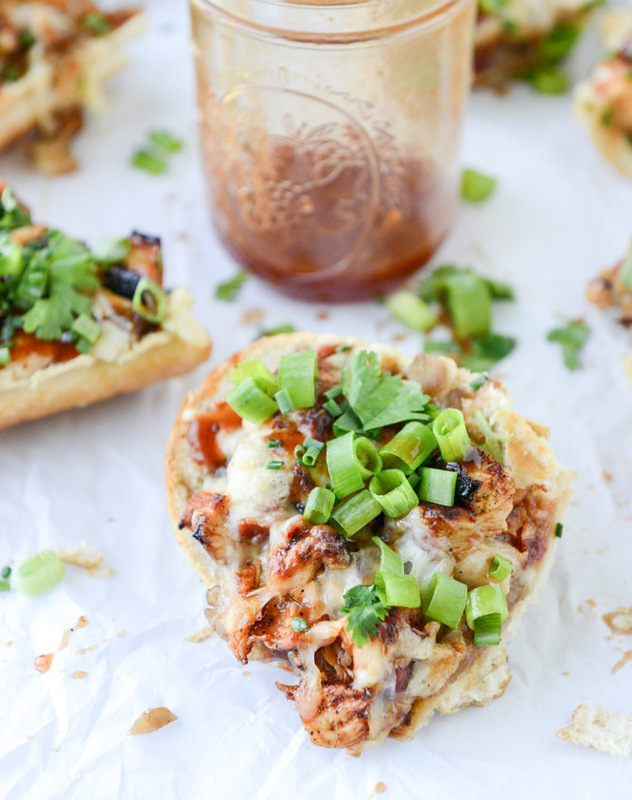 Recipe: BBQ Chicken French Bread Pizza | Winners Drink Milk! 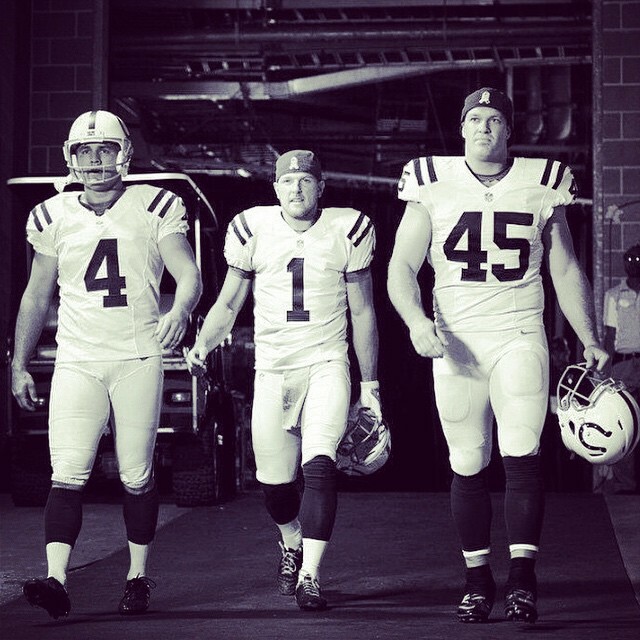 The Colts season FINALLY starts Sunday afternoon, and no one is more excited than I am to get this season under way. I may not have a Fantasy Football team or be able to predict who will make a Super Bowl appearance, but what I do have is a wish-list of food items that will be consumed during this season’s games! While I do enjoy watching the games, I really enjoy the excuse of trying a new recipe for a half-time snack! 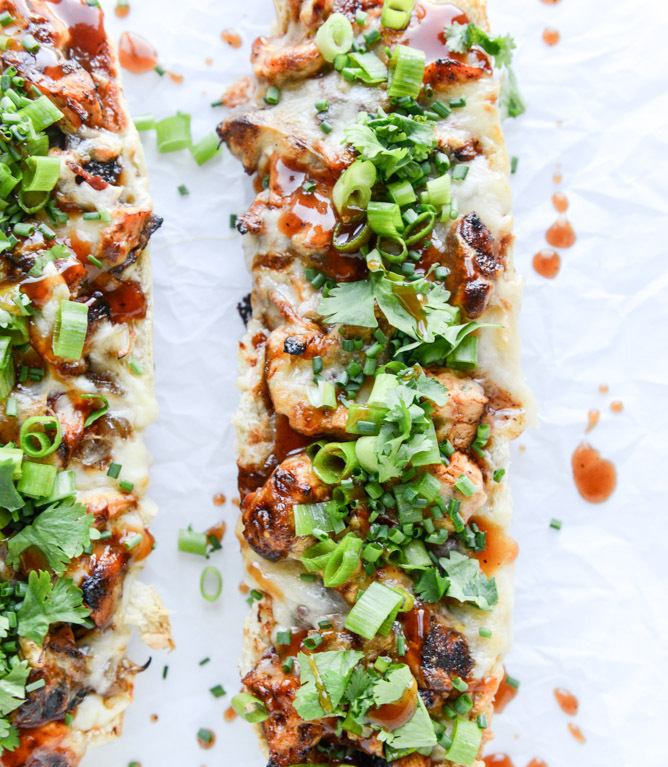 One of my favorite food bloggers, How Sweet Eats, recently posted 175 football favorite football recipes, and I have to say, her BBQ Chicken French Bread Pizza is at the top of my list! Please, take a minute and admire the pictures below and then join me in the kitchen Sunday morning as I prepare an amazing meal for my fellow football fans! Heat a skillet over low heat and add 1 tablespoon each of olive oil and butter. Add the sliced shallots with a pinch of salt and stir to coat. Cook, stirring occasionally, until the onions become caramely and golden brown, about 15 to 20 minutes. Stir in the balsamic vinegar and cook for another 5 minutes to deepen the flavor. Place the chicken in a bowl and toss it with the brown sugar, paprika, garlic powder, onion powder, salt and pepper until evenly coated. Heat a large skillet over medium-high heat and add 1 tablespoon each of olive oil and butter. Add the chicken and cook until golden on both sides and cooked through, flipping occasionally, about 8 to 10 minutes. Remove from the heat. Toss with 1/3 cup of BBQ sauce. Spread a thin layer of BBQ sauce over each side of the bread. 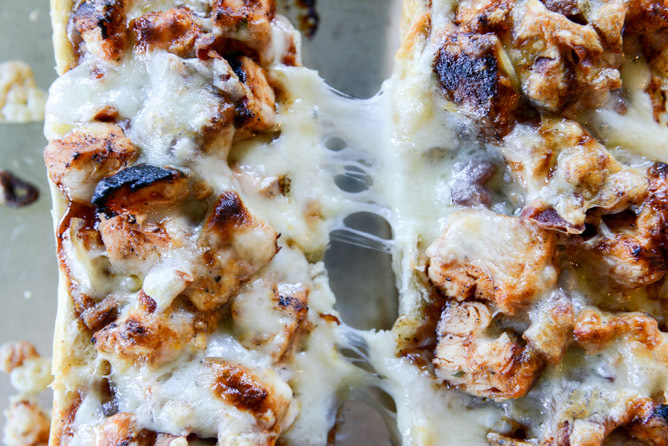 Sprinkle half of the fontina cheese on both sides of the bread, just a light layer to act as "glue." Top the cheese with the chicken, shallots and bacon. Cover with the remaining fontina and white cheddar. Bake for 15 to 20 minutes, until the cheese is golden and bubbly and the bread is toasted. 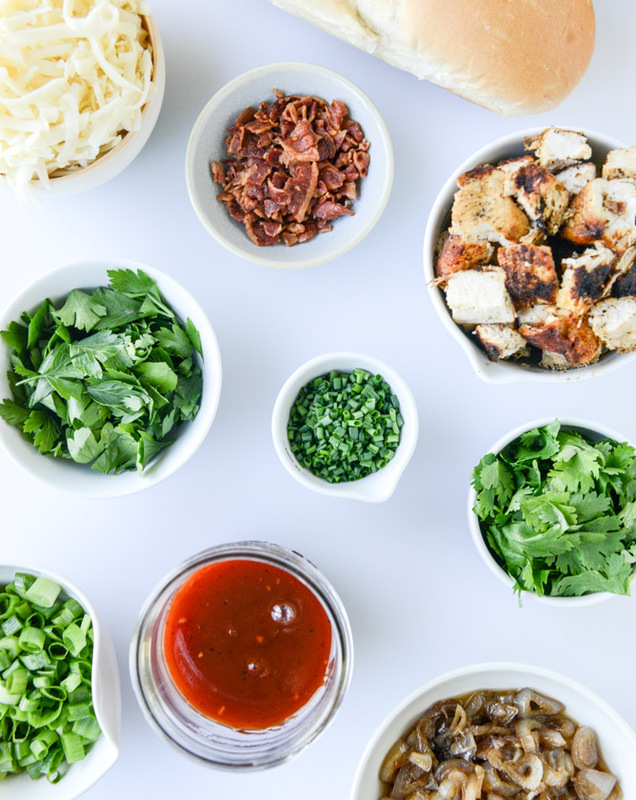 Remove the bread from the oven and drizzle with the remaining BBQ sauce, then cover generously with the sliced onions, cilantro, parsley and chives. Slice into squares and serve.